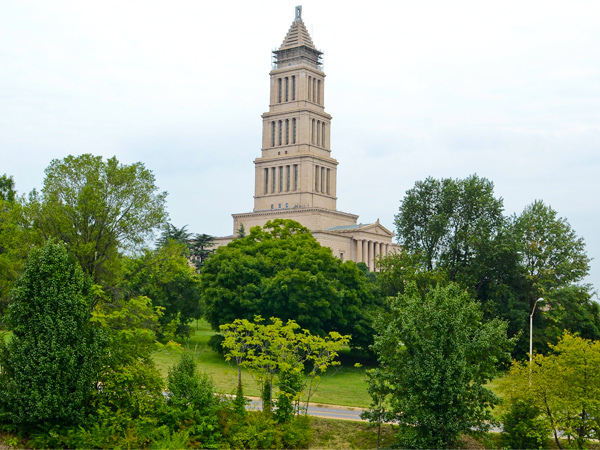 Perched atop Shuter’s Hill and commanding expansive views of the Potomac River Valley, this 36-acre property surrounds the 333-foot-tall memorial dedicated in 1932. 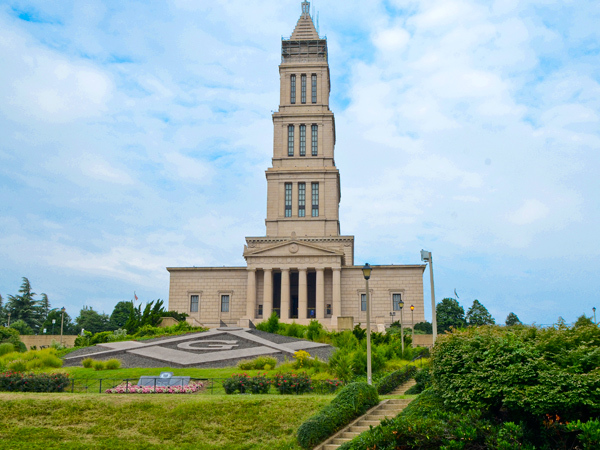 Initially selected by an organization for the construction of a smaller memorial to Washington and a park, the site was purchased in 1915 by the Washington-Alexandria Lodge of the Masonic Order (chartered by George Washington in 1788) and an association was created to oversee the project. 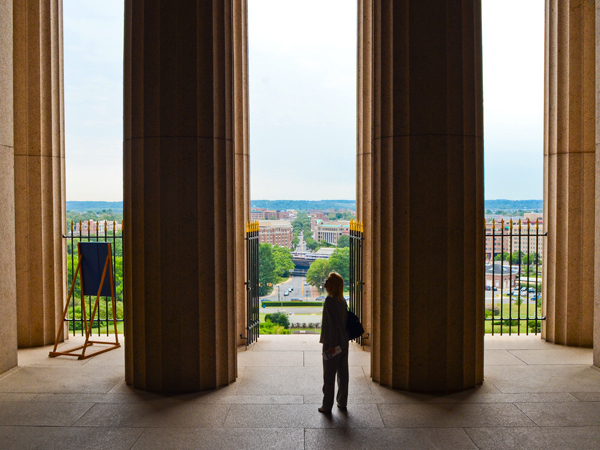 In 1922 architect Harvey Wiley Corbett was commissioned to design the memorial structure with Olmsted Brothers in charge of the landscape. 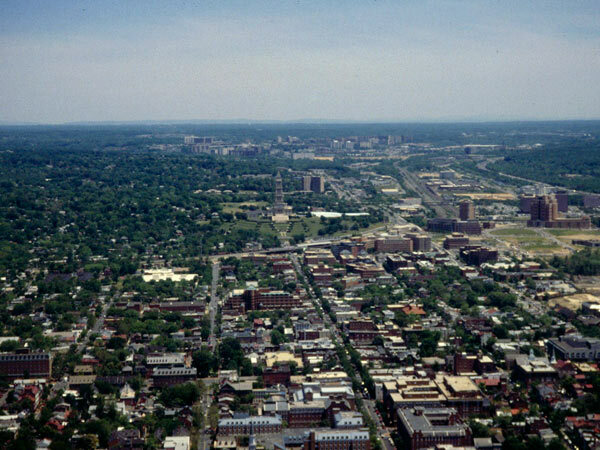 Though young at the time, Carl Rust Parker was selected to lead the project, as he was a Mason. 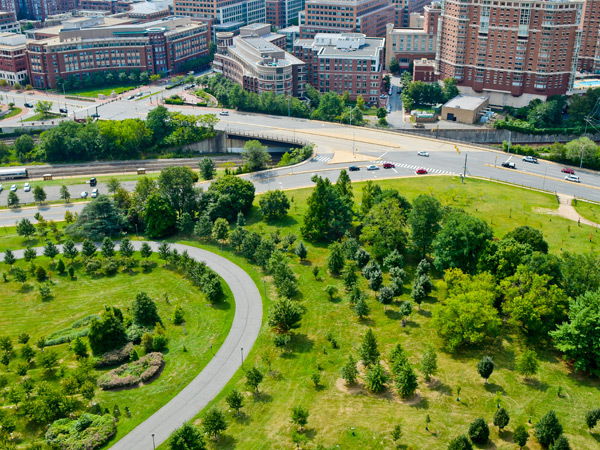 Oriented to the east for ritualistic purposes and on axis with King Street, the memorial is sited above a terraced lawn. Parker’s dramatic entry sequence included a curvilinear drive and an axial stairway—both of which terminate at a grand plaza and a stone retaining wall on the upper terrace. Parker’s general planting plan, presented in 1939, was never instituted. 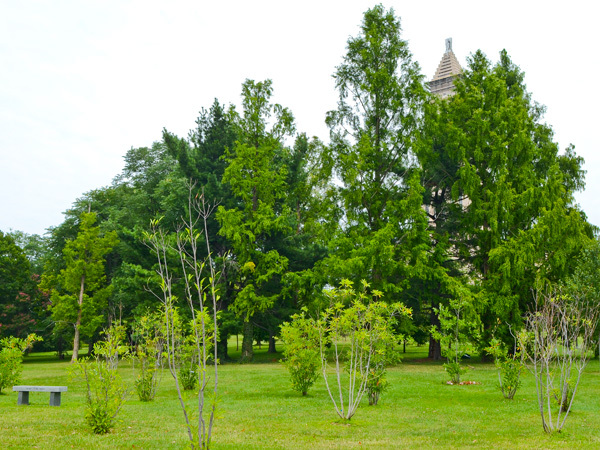 Various groups donated specimen trees, the only real horticultural work on the site until landscape architect Kenneth Soergral developed a detailed plan in 1970, of which only a portion was realized. 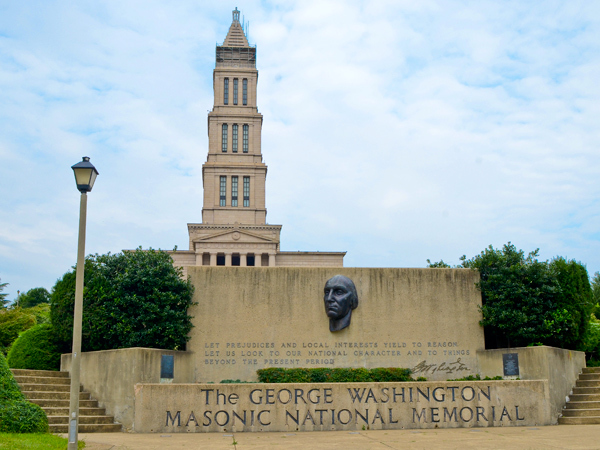 In 1982 a new entry was developed, featuring a concrete retaining wall inscribed with a quote and adorned with a sculpture relocated from the Washington Monument in 1976. 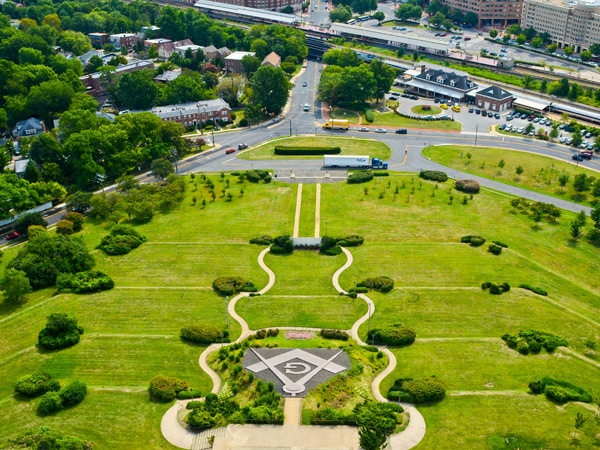 In 1999 a 4000-square-foot Masonic compass emblem was installed upon the terraces fronting the memorial and in 2000 a program of dedicatory trees was instituted, resulting in the planting of more than 600 trees. 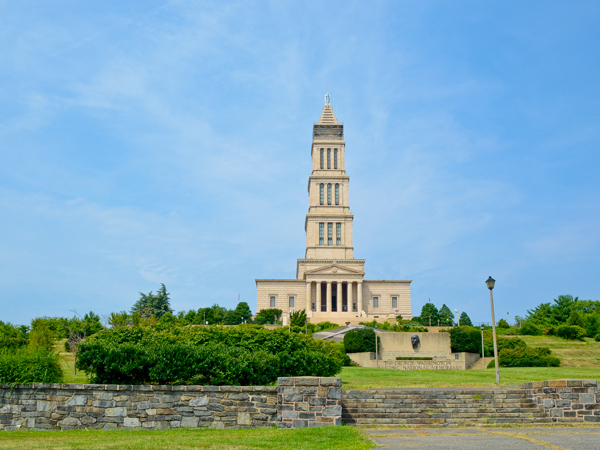 In 2015 the Memorial was designated a National Historic Landmark.